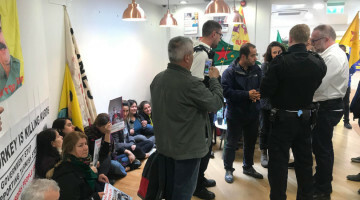 The Turkish state continues its repressive measures against the Kurdish people and the HDP. 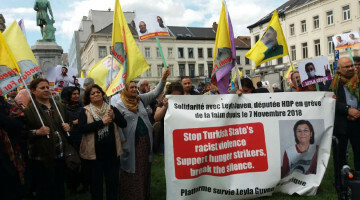 A banner was hanged on the building of the Peoples’ Democratic Party (HDP) building in Amed’s (Diyarbakır) central Yenişehir district in solidarity with Democratic Society Congress (DTK) Co-chair and HDP MP for Hakkari, Leyla Güven who is on the 76th day of hunger strike against the isolation regime imposed upon Kurdish People’s Leader Abdullah Öcalan. 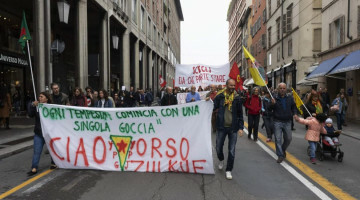 The banner read “Let’s increase the prison resistance”. 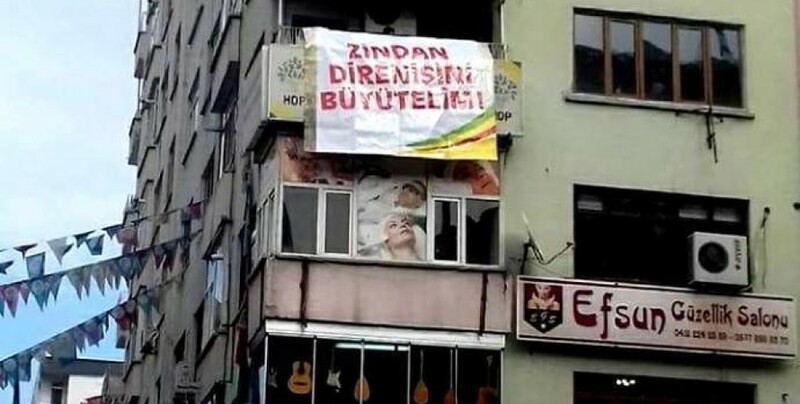 Shortly after the banner was unfurled on the building, police raided the HDP office and tore down the banner. 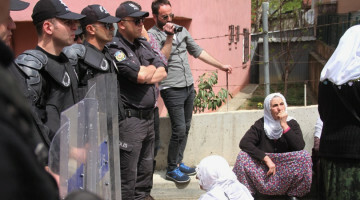 HDP Yenişehir district branch co-chair Vahap Günaydın and district administrator Arzu Candan were taken into custody during the raid, and then taken to Diyarbakır Security Directorate.